Work with professional, and they will provide you with a permanent solution to your plumbing problems. It is not the business of a professional to be repairing the same problem every time. 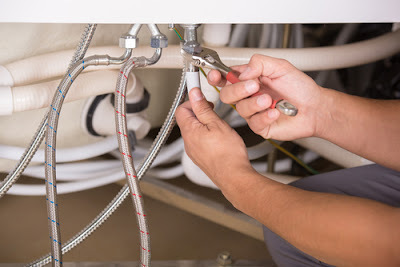 Having worked in the industry for an extended period, they know the main commercial and residential plumbing problems and how to fix them permanently. Quarks will repair a leaking water pipe, and after a few days, the problem will reappear. A professional has skills and tools to fix any plumbing problem. Insurance protects plumber in case of damages in the line of duty. The insurer will pay for these damages including household items. The license is also an important document in plumbing, and you should ask the plumber first if they are licensed. Some of the plumbing tasks such as gas leakage are very dangerous to be handled by anyone apart from a licensed plumber. To get a license, you must be certified by various boards for your credibility in offering the service. Plumbers are also highly trained, and a license is a proof of their training and ability to deliver. They are also insured against damages along the line of duty. 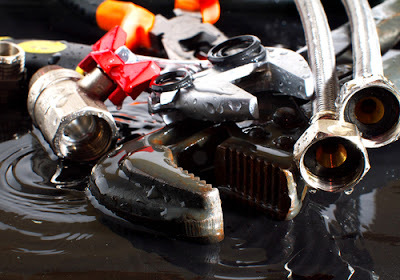 A plumbing problem such as gas leakage, a broken pipe or leaking sink can cause a lot of mess. What you can do is to repair it within the shortest time possible. The worst mistake that you can make is hiring a quark and inexperienced plumber just because they are charging a small amount of money. They will take a lot of time fixing the problem to show how bad it was or maybe because they had no idea of how to solve it. For a professional plumber, they do not rely on luck. Just explain what the problem is and where it is coming from and they fix it with a very short time. An established and experienced plumber must have multi-diversified in their service delivery. They can work on different problems ranging from gas and water leakage, installation of heating and cooling systems, plumbing repairs, installation and replacement of water heaters and many other services. If you have a number plumbing problems at your house or office, one plumbing firm can work on all them. It will save you plenty of money that could have been used in different companies. You can bargain the entire project as one package, and the cost will be much friendlier. Plumbing is an expensive business to start. The kind of the tools and equipment that are required for a plumber to handle any project cost a lot of money. It explains why we have many quarks operating underground. In fact, most the plumbing failures are due to lack of proper tools. A professional plumber must have all the necessary tools to tackle assignment any time. Hiring a professional plumber will ensure that you are enjoying hi-tech equipment. They will work on the problem with the needed tools to ensure that it has been handled professionally. Reliability is a key factor to be considered in any plumbing work. 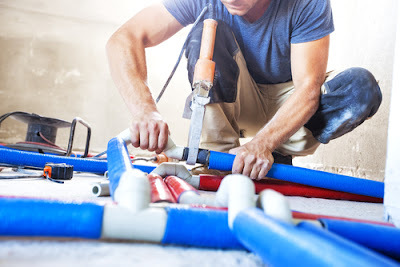 The benefit hiring a professional plumber is that they can offer reliable services considering that they have dealt with similar problems before. You are ensured that they will put their effort into that job until it is completed successfully. No professional plumber will give excuses, and they will deliver as promised. They will provide you with services that will add value to your place by leaving it better than it was initially. One thing with professionals put emphasis on is proper hygiene and safety in what they do. It does not matter the magnitude of the task will be, but a good contractor will always put the hygiene first. If the task can result in dust, they will give you clear steps on how to cover the sensitive equipment. If the active can result in the emission of poisonous gas, they will advise accordingly on how to avoid gas poisoning. In short, they will provide you with a set of measures and procedures to avoid health hazards ad destruction of properties. Sometimes, you might have a plumbing problem, but you do not have any idea on how it can be solved. Maybe the sink pipes are clogged, and the only idea that you have is the use a pipe snake to unclog it. This could be a wrong approach since the clogging cause could be different. A professional plumber will analyze the situation separately and find out the possible cause of the problem. Do you know that sagging pipes could cause clogging of drainage system as opposed to the buildup of debris in the pipe? This is true. Only a professional plumber can give such expert advice. A professional plumber will take full responsibility for their work. For every project that they work on, they will give you guarantee which they will honor. They are very confident that the work that they have delivered is beyond reproach. In case the same problem reappears with the guarantee time, the plumber will redo the work for free. This is how you get to know a professional plumber from the rest. These are just a few of the benefits of hiring a professional plumber to handle your plumbing needs in Singapore. Whether your sink is not working, the heating system is faulty; you need sewer services, the draining or cooling system is in a mess, these are the guys that fix all these problems. Professionalism, quality of tools, experience, reliability and reputation are some of the factors that make a good plumber.